Hello to you from the Schmaldienst family of 8!!!!!! Thank you for taking the time to find us! Our story begins in July 2003 when we were married. At that time, nearly 16 years ago, the two of us had a picture in our minds of what life might look like, what jobs we might have, how many pairs of little feet might pitter patter their way around our home, and how God might eventually use our family to further His Kingdom. The Lord has graciously entrusted us with 6 biological children, born between 2009 and 2015. As God has compelled us to provide for, teach, nurture, care for, and love our own children, He has also been doing something more in our hearts. Through scripture, Biblical teaching, songs, and friendships with families that have already opened their homes, He has been growing our desire to care for orphans. We know that God has commanded us in the Bible to care for the “least of these” (Matthew 25:40) and the “fatherless” (Psalm 68:5), and we have a strong conviction that He is leading us to do this by adopting a child into our family. Life with our 6 kids has shone a light on areas of selfishness in our lives, and it has taught each one of us about sacrifice. The decision to grow our family again through adoption has been a gradual one as we have sought counsel and prayerfully considered the cost. We know there will be challenges ahead, but we are stepping forward in faith, knowing that God has surrounded us with a support base that shares our desire to minister to orphans. So many of you have already provided love and support to our family through challenging times. We are greatly encouraged, knowing that when times come for us to lean on the strength of God and others, that we can do so. With all that the Lord has given us, we feel compelled by Christ’s love to welcome a little boy from Colombia into our family. We want to follow in our Father’s footsteps and serve as “a father to the fatherless” (Psalm 68:5). And we trust that as God calls us to adoption, that He will also provide for it financially above and beyond what we can imagine, and in ways we do not expect (Ephesians 3:20). We have considered the cost to complete an international adoption carefully (approximately $45,000), and we have already committed $9,000 to our process so far. Month by month, we continue to commit our own resources to the adoption as we are able. 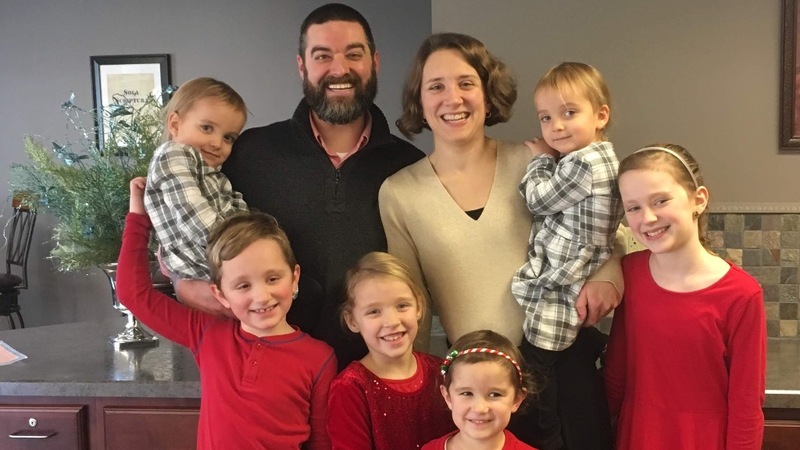 Though what we desire most from all of you is your commitment to pray for our family as we move forward, we would like to invite you to be a part of our adoption by giving financially as well. We trust that God will continue to provide the funds needed to complete this adoption, and that one way may be through people like you. With that in mind, we ask that you ask God if He would like you to give and participate with us in this way. Thanks to the generosity of the We Care for Orphans Adoption Fund, we have been awarded a $3000 matching grant. This grant is administered by Lifesong for Orphans, and we would be so appreciative to be able to make full use of the $3000 matching grant! Your financial support here will help us reach that goal. Regardless of your conviction to support us financially, please do pray with faith that God would move mountains to bring our next child home to us soon! Thanks for taking the time to let us share our journey with you. STRIPE charges an online processing fee (2.2% +.30 USD per transaction). Your donations will be decreased by this amount. You may also send a check payable to “Lifesong for Orphans”. In the memo line please write “Schmaldienst 8097”, to ensure it is credited to our account. Please mail to Lifesong for Orphans, PO Box 40, Gridley, IL 61744. Hi, folks! Well, we’ve sent out our first round of fundraising letters. More than anything, we’ve appreciated the opportunity it provided to explain to friends and family what we’re working through, and ask for their prayer support. Thanks to all of you who have reached out to let us know they’ve received the letters and are praying, and for those who have stepped forward to support us financially! In case you’re wondering where we are in our process, we thought we would provide a brief update. Right now, we’re working with our assigned social worker to finish the homestudy required for us to be officially enrolled in the Colombia program. Technically, our homestudy was completed for Albania last year, but, for a number of reasons, we have felt lead to switch permanently to the Colombia program. Now, we are in the midst of that switch. For us, this means a number of things: books to read (part of our training), paperwork to complete, documents to order (fresh copies of birth certificates, marriage certificates, etc. ), clearances to get (FBI, Criminal Record, etc. ), appointments to set up (physicals for the whole family and psych evals for Michelle and I), etc. That’s it for now! Please feel free to reach out to us if you have any questions about our adoption process, or if you’d like to just catch up.